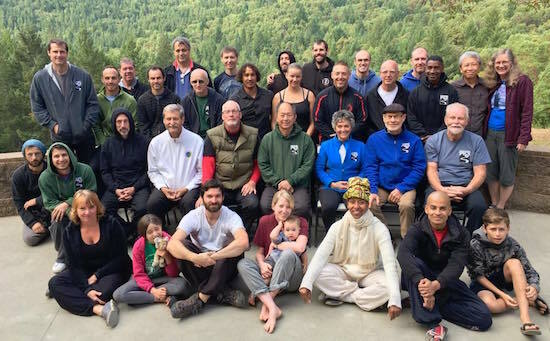 Thanks to the dedication of the students and faithful support from parents, sponsors, and friends, we are pleased to announce the YMAA California Retreat Center will continue its mission of education in, and the preservation of Traditional Chinese Martial Arts. Special thanks goes to the Ku Foundation, a co-sponsor and co-organizer of the new full-time training programs. 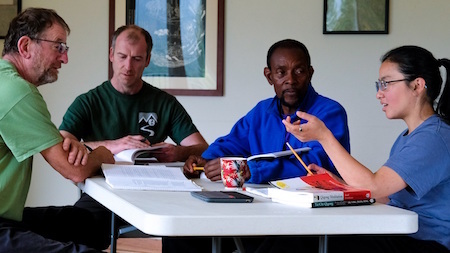 New students, visitors, and seminar guests will now have another 5 years to train and study at the Retreat Center. After the programs end in June 2023, the Center will remain open for visiting students and guests while the property is prepared for sale in 2024. For more details, review Dr. Yang, Jwing-Ming's announcement letter. The Center is located in the scenic mountains of Northern Humboldt County, California. Living in relative isolation with Dr. Yang and senior students immerses individuals in the training. Fewer distractions from outside society can lead to higher quality focus on practicing and understanding the material. Recruitment for the new programs began in October 2017. 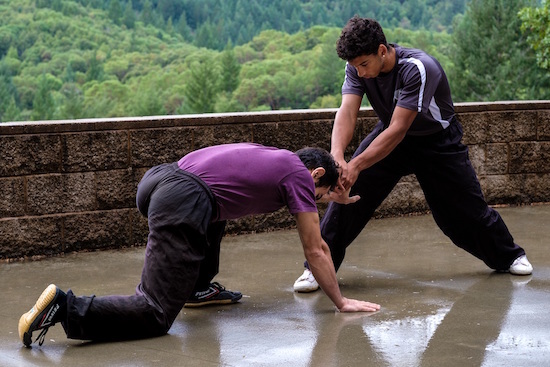 The Center is searching for individuals who not only enjoy training martial arts, but can also demonstrate their strong dedication to understanding and preserving the arts. There is a 17 to 30-year-old age limit for the 5-Year Shaolin/Taiji program candidates due to the physically demanding training. 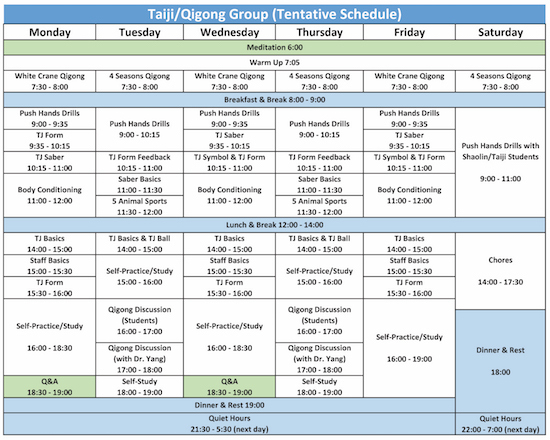 There are no age restrictions for the 3-Year Taiji/Qigong program. If everything goes as planned, another 3-Year Taiji/Qigong group will be recruited for enrollment between 2020 and 2023. 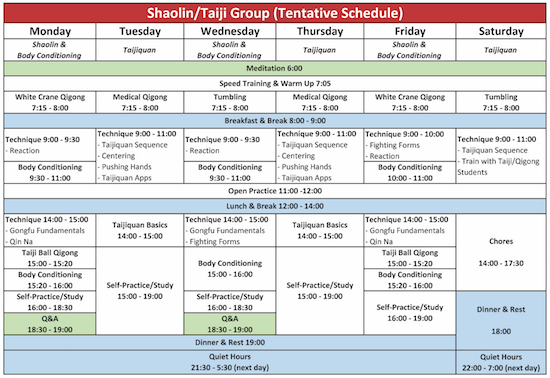 The 5-Year Program focuses on Shaolin Long Fist, Shaolin White Crane, Taijiquan, and Qigong. The day begins with meditation and speed training, followed by Qigong exercises or tumbling. 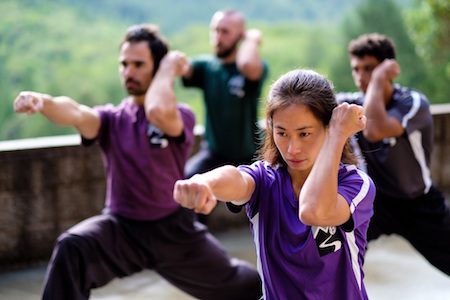 After breakfast, the group trains Long Fist or Taijiquan techniques with body conditioning drills and Gongfu fundamentals taking place in the afternoon. 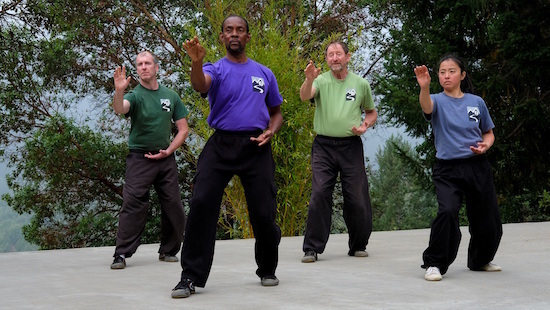 The 3-Year Program emphasizes Taijiquan, Qigong, and the theories behind them. The group starts their day with meditation and Qigong exercises, followed by Taijiquan sequences and light body conditioning. After lunch, the students practice Taijiquan basics until the group Qigong discussions and self-practice/study blocks. Aside from training, the students will have chores and responsibilities to keep the Center's facilities running smoothly. Tasks include: cooking, cleaning, gardening, livestock care, waste disposal, water system maintenance, generator maintenance, etc. Candidates are invited to visit the Center for a minimum period of 2 weeks. The purpose is for Dr. Yang and the current students to assess the candidate's capability and potential for the program. Candidates must be able to adapt to the training environment, living conditions, and existing community dynamics. Candidates are highly encouraged to fully immerse themselves in the daily activities and ask questions to determine if the program is suitable for them. The current students have gained valuable training and teaching experience which will help improve the efficiency of the future programs. They have learned to: set short and long-term goals to cover different aspects of training, structure their time to train efficiently, and devote time to discuss drills and difficulties to improve their understanding and communication with each other. Additionally, several students have applied their media production skills in personal projects and co-productions with the YMAA Publication Center. To everyone that has supported the Center through thick and thin, thank you for everything you have done. With your continued support and helping us reach out to anyone that is interested in joining the programs, these next years will be even more fruitful than the last. Your support is greatly appreciated.